Ocean Mist Cottage will help to make your holiday stay a memorable and thoroughly enjoyable experience. We've taken care of everything. The only thing left for you to do is sit back, relax and indulge yourself in all the little luxuries that our accommodation has to offer. You'll find it oh so hard to say goodbye once you've spent some time at Ocean Mist. Our cottage offers you luxury appointments and fittings, but at very reasonable rates. Wake up to the smell of the ocean and decide how to spend your day. Perhaps an early morning round of golf at the nearby course or a leisurely stroll along the golden sandy beach, breakfast at any one of a range of sensational eateries, take in some shopping or an afternoon dip in the cool waters of Glenelg Beach or take a tram ride to the city centre. Then again, you might just want to relax at Ocean Mist and perhaps enjoy a BBQ lunch in your courtyard, read a novel or magazine from the range provided, watch a DVD from the available selection or challenge the kids with a range of Playstion 2 games available. Ocean Mist Cottage offers you spacious two bedroom accommodation with queen size and king size beds (or two singles), large lounge with beautiful leather suite, fully equipped kitchen with stainless steel appliances, delightful courtyard with outdoor setting, ideal for alfresco dining, bathroom with bathtub and shower, separate laundry facility and toilet. The cottage boasts reverse cycle heating and airconditioning system for year round comfort and enjoyment. Secure, undercover parking is available for your vehicle. Please note that pricing may vary due to number of guests, proposed period of stay and number and type of pets are included. Fresh and crisp white bedlinen and towels for each guest are provided. We provide an initial supply of soap, detergent, dishwashing liquid and toilet paper. Complimentary tea, coffee and sugar are provided for the duration of your stay. Infant portacot, highchair and baby bath are available for our smallest guests. Extra custom-made trundle bed/s and towels are available for additional guests. 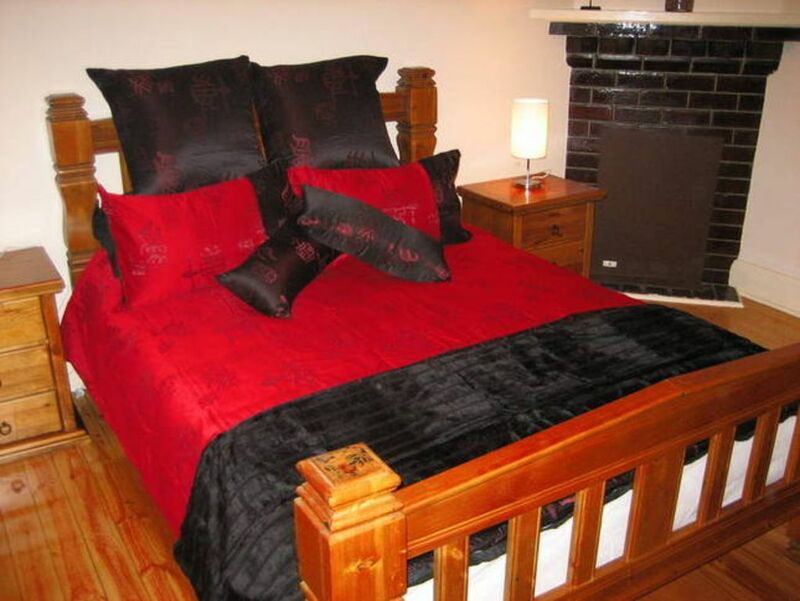 We have stayed as this wonderful accommodation on several occasions and it is always the first one we make enquiries about when needing to stay in Glenelg. In fact we've been talking about it that much that friends and family have been wanting to know more! The location of this property is fantastic. For those with children (both young and old), the property is no more than a 3 minute walk to Wigley Reserve for open park space and play equipment. Play equipment on Glenelg esplanade (in front of Glenelg Surf Life Saving Club) is a 5 minute walk, as is Jetty Road. Everything you want or need is no more than a 5 minute walk (maximum), including supermarkets. The home has ducted reverse cycle air conditioning and heating, Playstation for the children and loads of board games, washing machine and dryer (with washing powder), plenty of crockery/cutlery/glassware etcetera, dishwasher (and tablets), microwave, linen and towels provided, as well as soap and hand soap. The list goes on and on! Fev is a wonderful host and this property really does feel like a home away from home for our family as we look forward to staying here on each and every occasion. We absolutely love staying at this property and make it our “go to” when staying at Glenelg. Extremely close to all the wonders of Glenelg but far enough away from the hustle and bustle of Jetty Street nightlife. The house itself is extremely comfortable, clean, and well thought out with the provision of linen, towels, soaps, washing powder etc. A great property for a couple or family. Always a lovely place to stay at. Close to everything. House is well equipped and looked after. Cottage is clean & comfortable with everything you need. Easy walk to the beach & all Glenelg activities as well as close to city. Bonus being able to bring our dog. In an excellent location close to the Pat, beach and shops, this property caters well to holiday makers with small dogs.